[Jakarta, LttW] The Middle East conflict that flared up and caused civilian casualties on both sides in just recent days has ended with ceasefire. According to Al-jazeera, Israel and Hamas agree to truce after eight days of attacks in which 162 Palestinians and five Israelis were killed. The Egyptian foreign minister announced the ceasefire agreement hours before it took hold at 19:00 GMT on Wednesday. But let’s set aside our typical opinion on the war; who started it, who is to blame, or whose side are we on. No, we don’t want to hear that. But let’s assume that most of us hate the war, especially the consequences it will bring. So let’s just focus on how to gain understandings and equality among conflicting people. And we believe that music can be such a way in bridging one. Meet Daniel Barenboim, an Argentine-Israeli conductor and pianist, one of daring minorities who believe that music has the power to create more tolerance among people, even to those who are in conflict. 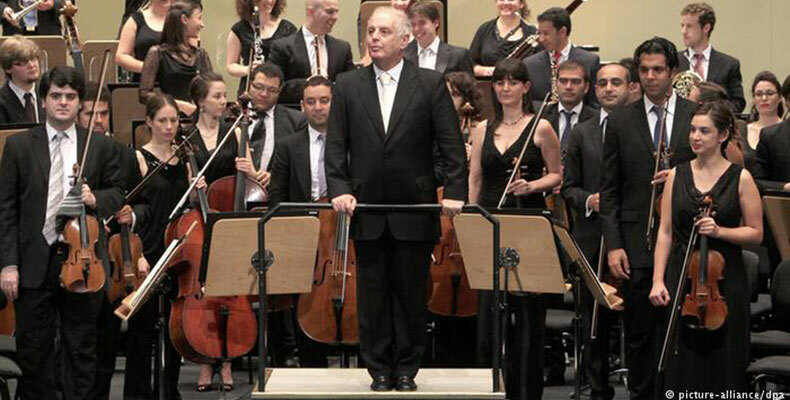 Barenboim, who just turned 70 on November 5, brought together Israel, the Palestinian territories, Jordan, Syria, Lebanon and Egypt musicians into harmony in his West-Eastern Divan Orchestra. His view and belief in music’s roles and functions has led to an act of response upon unequality and disrespect among the citizens of the Middle East. What Daniel Barenboim does since more than a decade ago up to his 70 years of age may not end the Middle East conflict in 5 or probably 10 years ahead. But with his persistence in passing the above values among the young Arabs and Israelis, let’s just hope that our children will live to see those days.